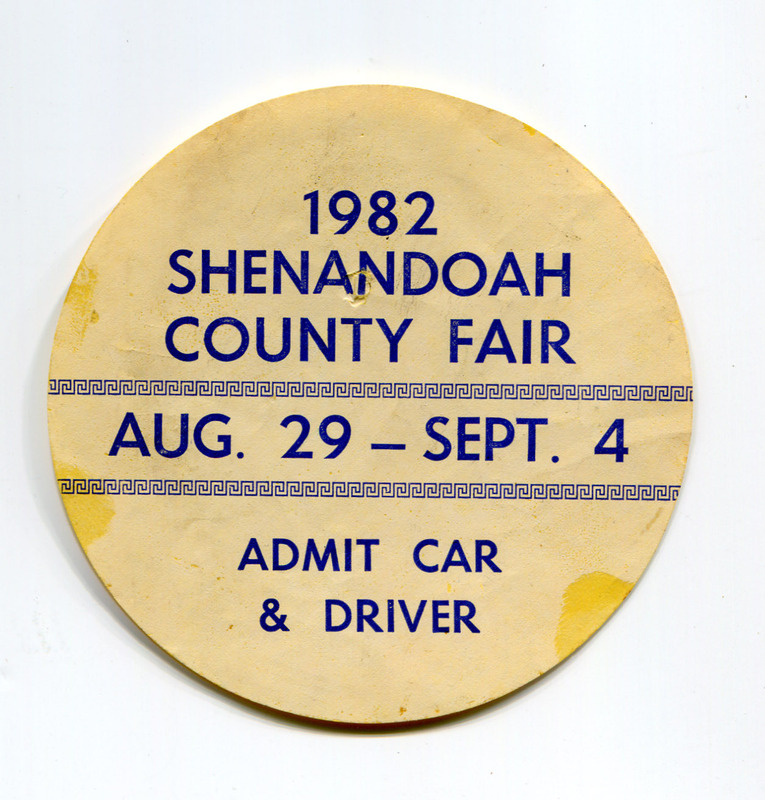 Scan of an admission ticket from the 1982 Shenandoah County Fair. Physical objects donated for scanning by the Gary Rutz. 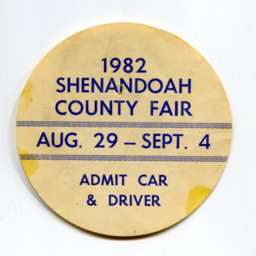 Shenandoah County Fair Association, “Admission Ticket,” Shenandoah County Library Archives, accessed April 25, 2019, http://archives.countylib.org/items/show/7000.